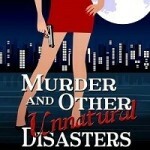 This book, Murder and Other Unnatural Disasters defies typical mystery description. The mystery at the story’s center is both interesting and compelling, but the tone of the novel, the fresh first-person POV, and the specifics of the characters and the events surrounding the solving of said mystery make the novel a roller-coaster ride of hilarity, in a way that’s both reminiscent of, and distinctly different from, Janet Evanovich’s early work. Heroine Corrie Lock is part classic gumshoe, part ingenue. I love that she broke into her mother’s closet for appropriate work attire – that detail said so much about the character. I also love that she’s just jaded enough that it grounds her, but that there’s still a hint of idealism inside her. 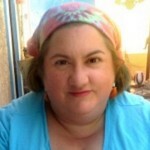 She’s engaging and funny, and would probably be fun to hang out with, as long as it wasn’t behind a hedge. The supporting characters, among them quite a few suntanned men and women in clacky heels (well, it is Southern California) all add to the story, but Veera and Michael were my two favorites in this novel. The former is just the kind of friend/partner in crime every woman needs, while the other – a longtime best friend who is also a bit of a crush – is a good standby. While there were others in the novel who stood out (am I the only reader who wanted to punch Marshall at least once?) it is this pair that made me want to see a sequel, or a series. I’ve already mentioned that this novel is in first person, from Corrie’s POV. Sustaining first person can be difficult. The challenge to ascribe feelings or motivations to others without truly knowing about them is ever present, but Sideris does an amazing job keeping the tone and the voice consistent while still giving the novel needed dimension. Every character sounds distinctly different, while still belonging (believably) to the same universe. If you don’t mind a bit of hilarity with your crime-solving, you should check out Murder and Other Unnatural Disasters. It’s a fast-paced read that will keep you entertained from the first page to the last. Goes well with frozen cheese pizza, doughnuts, and milk. 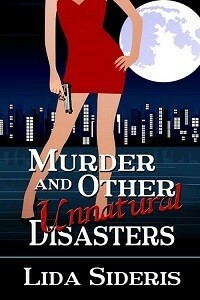 One lucky winner in the U.S. will be selected to receive a copy of Murder and Other Unnatural Disasters. To enter: Find my tweet about this review on Twitter, and retweet it (I’m @Melysse), or leave a comment on this post and tell me if you’ve ever ‘borrowed’ clothes from your parent or siblings without permission. Contest is open until 11:59 PM CDT on Wednesday, October 21st.